This glorious set of 4 designer bangles options a blinding piebald stone work assault prime of the brass metal base with small gold plating. 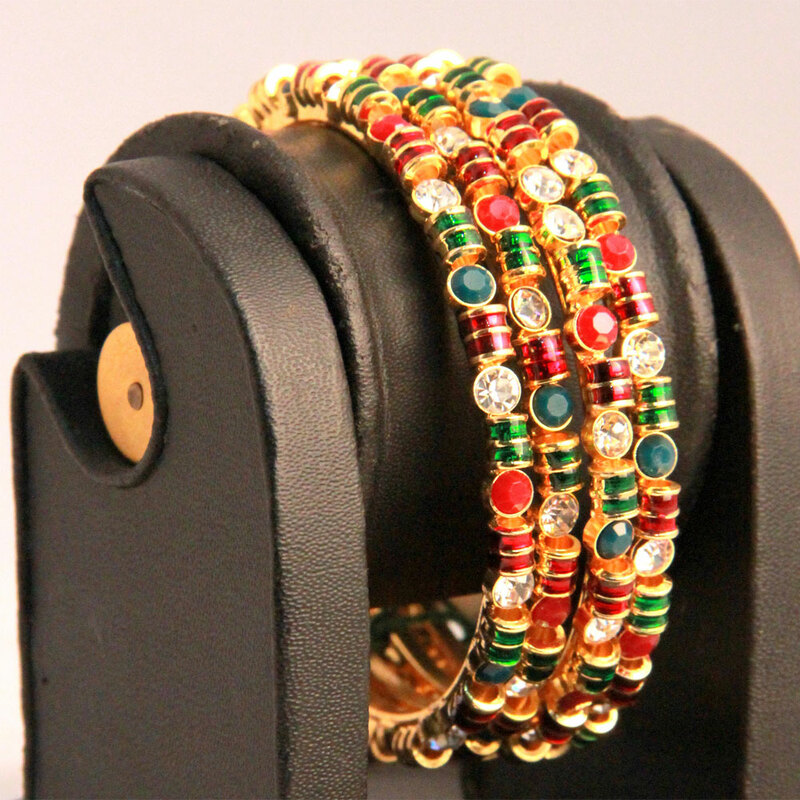 This magnificent set of four designer bangles features a dazzling multicoloured stone work set on top of the brass metal base with micro gold plating. Read More..The glitter of the red, green and white stones laid in different patterns gives the bangles a young and lively look that most women adore. Show Less..